This isn’t the first time we’ve made this dish, and it won’t be the last. In How to Cook Everything, Mark Bittman suggests quick glazing carrots in butter or oil with a variety of herbs for a flavorful side dish. You could use dill and lemon juice, brown sugar and walnuts, or maple syrup and pecans. But we especially like the combination of grated ginger and freshly squeezed orange juice. 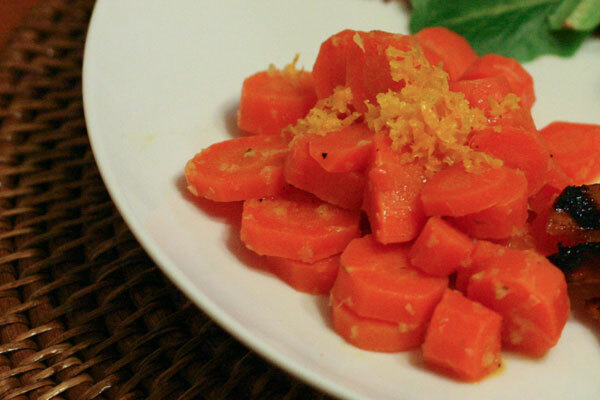 Combine all of the ingredients in a small saucepan and simmer for about 20 minutes until the carrots are tender. 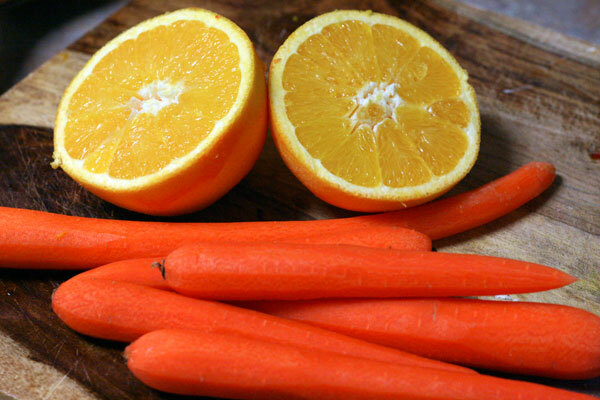 Just before serving, add a squeeze of lemon juice and a sprinkling of orange zest. This simple and versatile dish pairs well with everything from fish to chicken to pork chops — have fun with it! Next up: We spice up a box of yellow cake mix. You don’t want to miss it. Combine all ingredients except lemon juice in a small saucepan. Bring to a boil, then cover and adjust heat so mixture simmers. 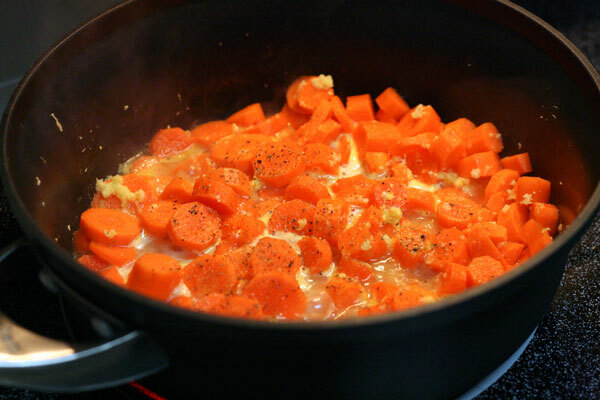 Cook, more or less undisturbed, until carrots are tender and liquid is almost gone, 10 to 20 minutes. Uncover and boil off remaining liquid, then add lemon juice. Taste and adjust seasoning, if necessary. Serve hot, garnished with herbs, if you like. I’ve tried to make this before without a recipe and it was terrible. Recipe bookmarked for future use! This looks delicious (and easy!) I am always looking for good sides. Love glazed carrots! I usually make them with maple syrup and butter, but this looks like such a nice, light version.